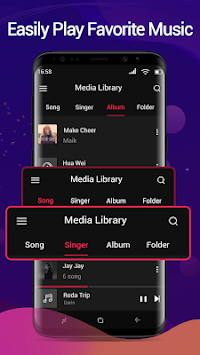 Music Player & Audio Player is free OFFLINE music player, MP3 player app. This audio player with built-in powerful 10 bands equalizer, it can easily let you get professional sound effects. Music Player & Audio Player can fulfill all your musical needs and brings you all new music experience! 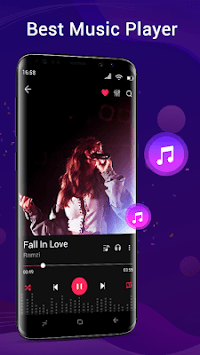 The most perfect and most professional music player for you to enjoy your favorite music. Music equalizer sound booster enables you adjust your sound tracks with 10-band equalizer and enjoy powerful sound booster. 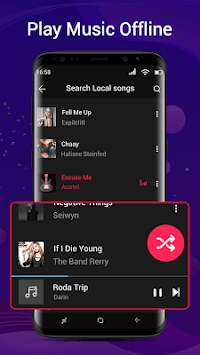 Quick search all your favorite songs, instantly start playing music based on tracks, artists, albums, folders and playlists. You will absolutely enjoy this feast of sound and vision. -Support all popular audio formats such as MP3, WAV, FLAC, AAC, APE, etc. Download the free music player & audio player app to enjoy offline MP3 songs!